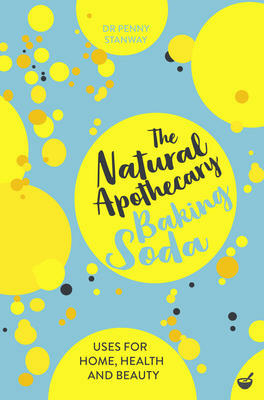 Not just for cakes, bicarbonate of soda has long been recognised as a hero ingredient for anyone looking to make their own eco-friendly cleaners and beauty products. Made up of tiny crystals, bicarbs natural structure makes it the perfect gentle abrasive for home cleaning, and its natural antacid properties are ideal for tackling heartburn or creating antibacterial cosmetics at home. With our increasing awareness of reducing exposure to chemicals and the importance of keeping things natural, as well as the ever-growing realization of the environmental impact of disposable plastic packaging, there has never been a better time to go back to basics, embrace natural ingredients and regain control of what we are putting in our homes and on our bodies.The Natural Apothecary: Bicarbonate of Sodaopens by exploring what bicarbonate of soda is made up of, and how it can be both naturally occurring and manufactured. The following pages are broken into sections on home, health and beauty, containing over 40 simple recipes for all-natural, home-made products that allow you to utilize the power of bicarbonate of soda with ease; make a soothing drink to ease indigestion, an all-natural exfoliating scrub to smooth your skin, or a simple but effective stain remover to leave your clothes looking like new.